Carbon dioxide is the most potent and natural relaxant for our muscles. It is the best among all the strongest muscle relaxers known to us. Once the supply of carbon dioxide is normal in the body cells, there is no need for any other relaxers that are available over the counter. There will be no arthritic pain or pain from other sources such as spine, back or neck. When breathing parameters are normal, people will be able to maintain correct posture and manage to keep their spines straight with all their body muscles in a relaxed state. There will be no stress signs, while doing physical exercise, in their gait. 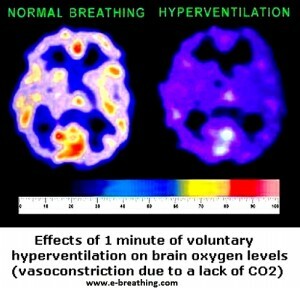 The muscles and various tissues, along with the brain, will get a normal supply of oxygen. With modern living conditions, people breathe almost twice more than what is prescribed in the medical norms and consequently, they suffer with a chronic deficiency in arterial carbon dioxide supply. This condition is known as hypocapnia. It makes all the muscle cells irritable and tense. What people do not realize is that they lack the most important muscle relaxant in their bodies and that is carbon dioxide. Several studies have hinted at the negative effects on the muscle cells as a result of low carbon dioxide levels. 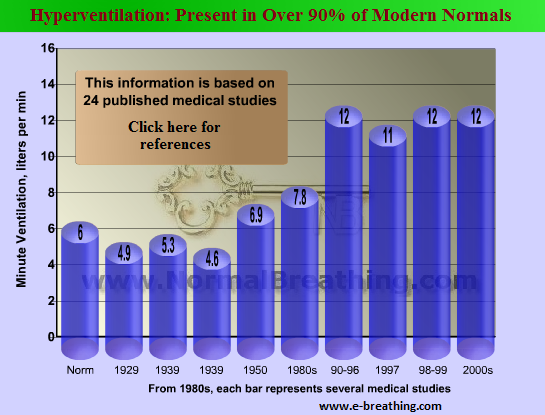 Dr. Brown analyzed almost three hundred clinical case studies in his research paper, `Physiological Effects of Hyperventilation’. 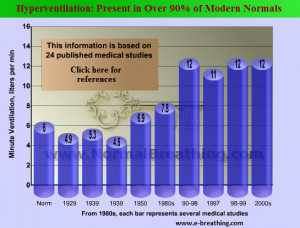 He emphasized that all studies that were designed to focus on the adverse effects brought about by hyperventilation on muscles and nerves were highly consistent on the point of an increased level of irritability. When carbon dioxide concentration is normal in the arteries, it will help restore the harmonious functions of various muscular groups like all the smooth muscles of arterioles and arteries, heart, digestive tract muscles and bronchioles. It also helps in getting rid of those spasms that lead to constipation, asthma attacks and heart attacks along with various other muscle problems. How do the muscles get relaxed with the best natural relaxant (effects)? It becomes essential to normalize the breathing patterns to have normal levels of carbon dioxide and to get relief from muscular tension. Once this is achieved, there is no need for all those over-the-counter muscle relaxers. Slowing the breathing patterns down to the required medical norms becomes possible by focusing on factors that affect your current lifestyle. Breathing techniques could be learnt to make breathing slower and lighter so that there is higher concentration of carbon dioxide and oxygen in the body cells. Some of these breathing retraining exercises include the do-it-yourself devices, Frolov respiratory device and Buteyko therapy of breathing. It is the natural effect of CO2 to relax muscle cells.